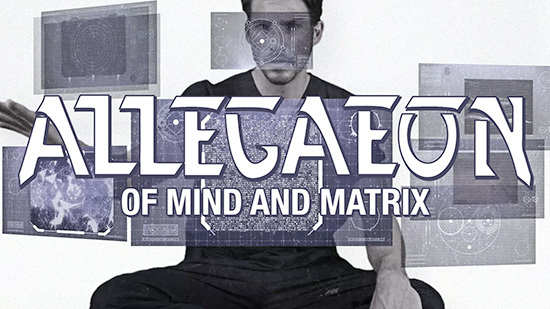 ALLEGAEON launches video for ‘Of Mind and Matrix’ online! Next month, ALLEGAEON will join label-mates Whitechapel, Cattle Decapitation, and Goatwhore for a special USA tour that celebrates Metal Blade Records’ 35th anniversary. See below for all dates! ‘Proponent for Sentience‘ can be purchased now at: metalblade.com/allegaeon. Produced by Dave Otero (Cattle Decapitation), the album is a musically complex, intelligent, and absorbing concept record that can rightfully sit alongside the true greats of the medium. With a lyrical arc rooted in science-fiction yet uncomfortably encroaching upon the reality of the present, it captures the Fort Collins, Colorado natives at their most ambitious and accomplished, pushing the boundaries even further than on their three previous critically acclaimed full-lengths.